Many states have passed laws or introduced bills regarding this important issue for parents and kids. Most of the laws and bills focus on third party vendor restrictions on using student data for commercial purposes, such as advertising to kids, selling data or creating non-education related profiles. 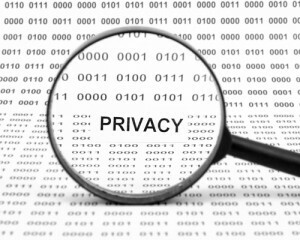 Typically, the burden of administering the privacy protections falls upon an education entity, such as a Department of Education or school district. Challenges for education entities include limited resources or expertise for establishment of standards, administration and enforcement. Oregon’s Attorney General Ellen Rosenblum submitted Senate Bill 187 and amendments modeled after a California law, which provides privacy protections for students, enforceable under Oregon’s unlawful business and trade practices laws. The amendments place the compliance burden on “operators” of Internet websites, online services and/or online or mobile applications used for K-12 educational purposes. Oregon PTA was one of the groups the Department of Justice reached out to regarding the proposal, and testified in support of the bill before the Senate Education Committee, and after the bill passed the Senate, the House Education Committee. Senate Bill 187A is scheduled for another hearing and possible work session on June 3. Oregon PTA also participated as a member of a state level Student Data Privacy work group, and provided input regarding several bills sponsored by Rep. Lew Frederick. We testified in support of the bills before the House Education Committee. Learn more about Oregon’s bills on the Senate Bill 187A and House Committee on Education. You could also search your state legislature’s website to find legislative proposals related to student data privacy, or state and local educational entities’ website for opportunities to weigh in on this important issue. Betty Reynolds, Ph.D. is the vice president for legislation at Oregon PTA.